Get an effortless, on point party look with this oxblood tunic. 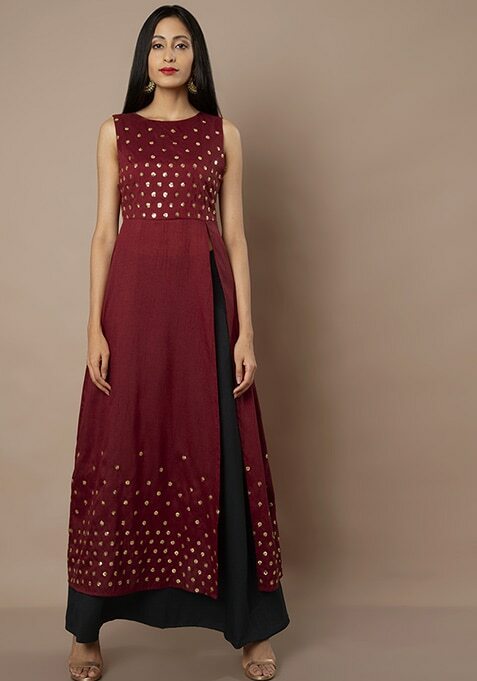 Features side high-slit and sequin polka on yoke and hem. Work It: Pair it with gold cigarette pants and wear minimal makeup to look stunning.